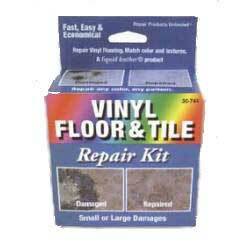 Vinyl and tile floors often get damaged. Finding an original piece to match and replace the damaged one is usually impossible. But now, with our professional Vinyl Floor and Tile repair kit, you can make "on the spot" repairs in just a few minutes!